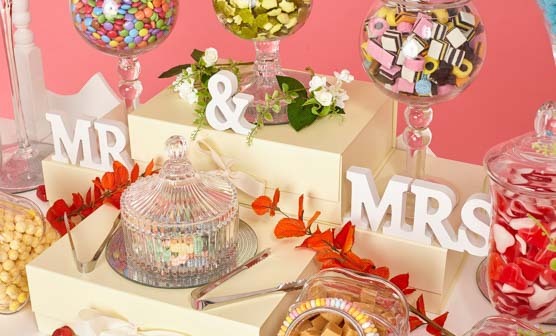 Thanks for visiting Candy Cart Hire. To discuss how we can make your event that extra bit special, call or text 086 1036259. Or leave a message here. We’ll be back within the hour. 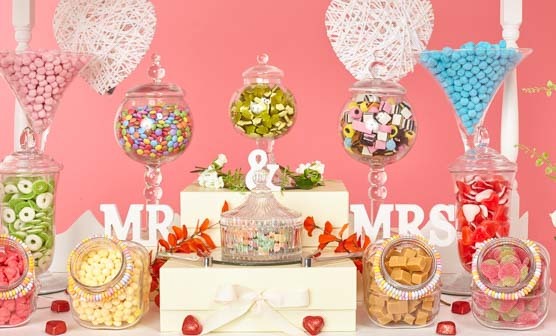 Delight and intrigue your guests whether it's a wedding, christening, holy communion, birthday party or a corporate event. 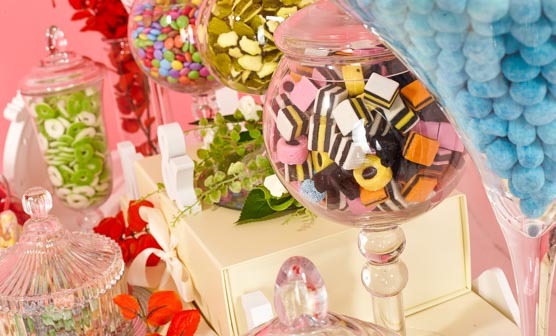 Every candy cart is designed to your taste. You pick the sweets. 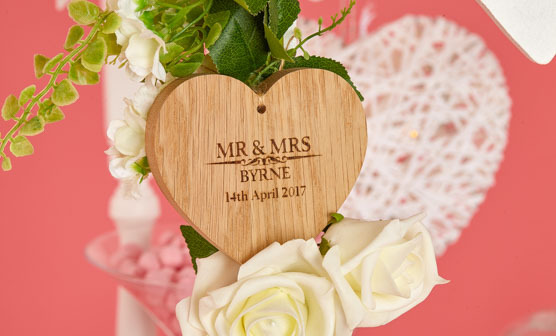 We can even engrave our wooden hearts with your names and wedding date. 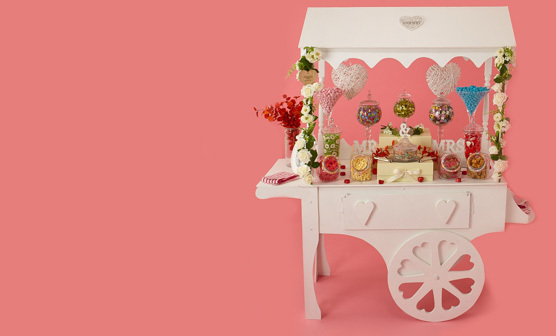 Our stunning illuminated candy cart creates a fabulous focal point for any occasion and a real talking point among guests. You’ll fall in love with our elegant apothecary glassware. Check our photos. 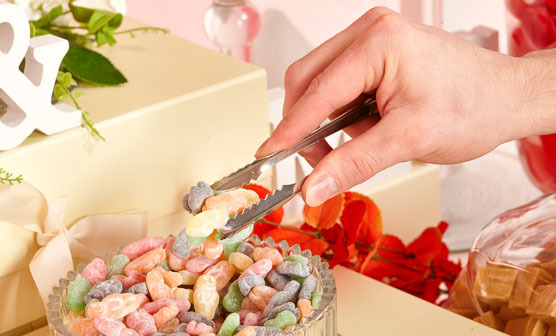 Choose from our large range of old fashioned pick n mix penny and retro sweets. Catering for Dublin and surrounding counties. We’ll organise delivery and pick-up. Call or e-mail and let us know the date of your event. Complete our booking form to secure your date. 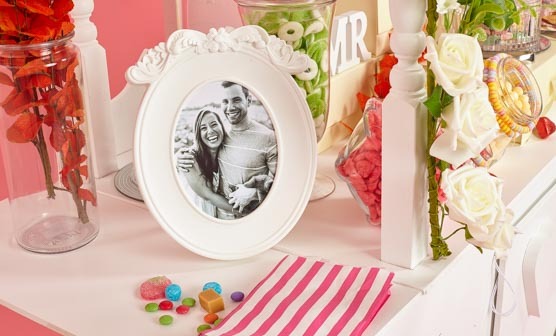 You now have the fun task of deciding what sweets to use for your candy cart! Choose from our range of 50 sweets. It's over to us now. We'll look after delivery and pick-up. You'll be blown away with our presentation! We promise to do whatever it takes to ensure you’re satisfied. We strive to deliver an exceptional service and customer care. 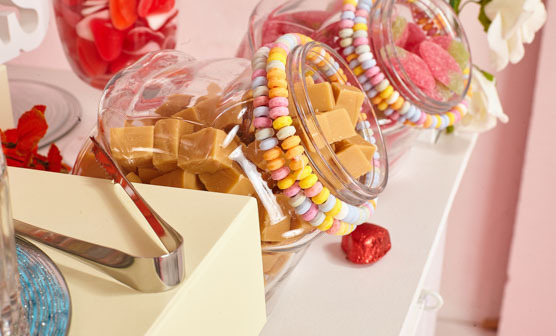 Our candy carts are decorated with care and precision. That includes little touches that add up to exceptional experiences. We are committed to offering a fully tailored bespoke package with a personal approach. We listen to our clients at every stage. Weddings Ireland Services. Registered in Dublin, Ireland under No. 589573.